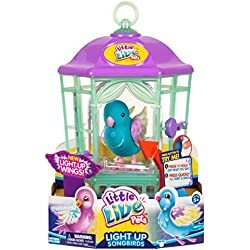 Technology is so amazing that it can create toys that look and feel just like the real thing – as is the case with the Little Live Pets Puppy. 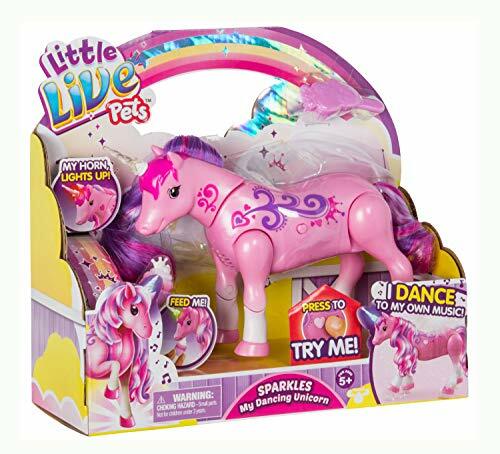 This adorable pet will be a welcome addition to your child’s play time. He’s so realistic and so interactive it’s astonishing to watch the toy in action. 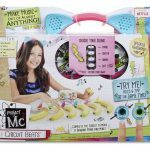 It will be in big demand this year, since it’s part of Walmart’s Hottest 25 Toys of 2016 list. He has light brown fur that is incredibly soft to the touch – just like a real puppy’s fur is. He has big, beautiful eyes and comes with a collar. 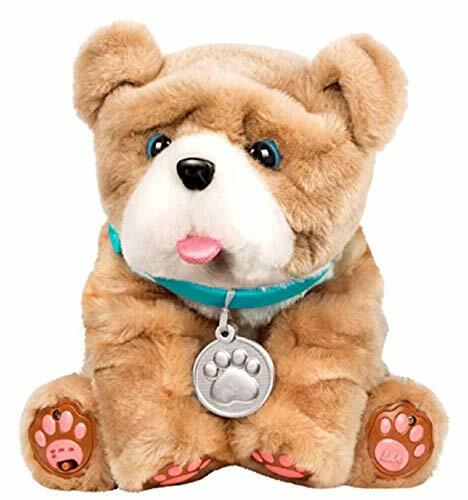 Kids love to cuddle up to the puppy and even though he’s a work of electronic genius, the way he’s created, these electronics aren’t intrusive at all. So if your child wants to sleep with the toy in his or her bed, you won’t have to worry about them bumping into something hard or uncomfortable in the toy. 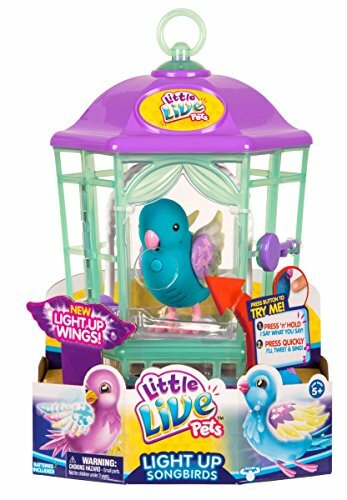 This Little Live Pet is fully interactive and will respond to any of the attention that your child gives to him. 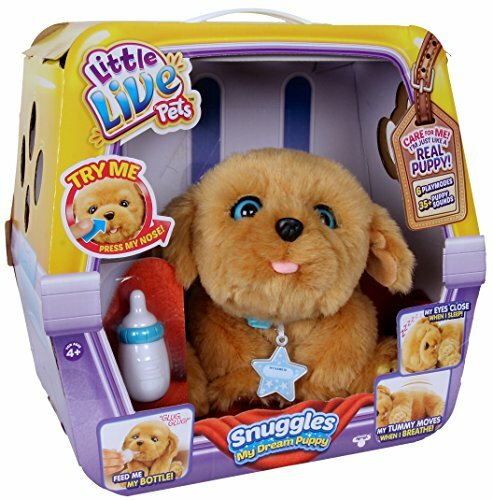 Kids love to put his back, touch his little nose or feed him with the bottle that comes along with the purchase. The dog will delight your child the way he engages with them. If a child rubs the puppy’s back, he loves the attention and will respond by panting as well as letting out short, excited barks. 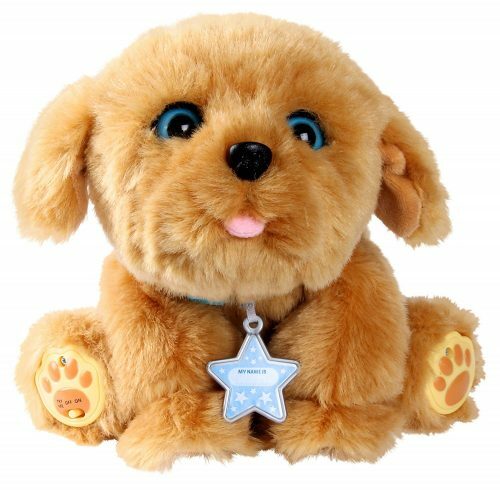 If your child rubs the top of the puppy’s soft head, he’ll react by closing his eyes, his pink tongue protrudes and he’ll make panting. The sounds and the movements are so interactive that it’s like having a real, live puppy to play with. If you turn the puppy upside down so that his stomach is facing up, then his legs will go limp with relaxation. While he’s on his back like that, if your child gently rubs his stomach, the dog will fall asleep and begin to emit cute little snoring sounds. What really fascinates both kids and adults alike is the action that happens once you tuck the puppy down for the night. As he lies in whatever bed you choose to buy for him and goes to sleep, his side will rise and fall and you can actually hear him breathing as well as snoring. It’s so realistic and so adorable that kids can’t stop wanting to cuddle with him. He has the cutest brown eyes that just beg for hugs. 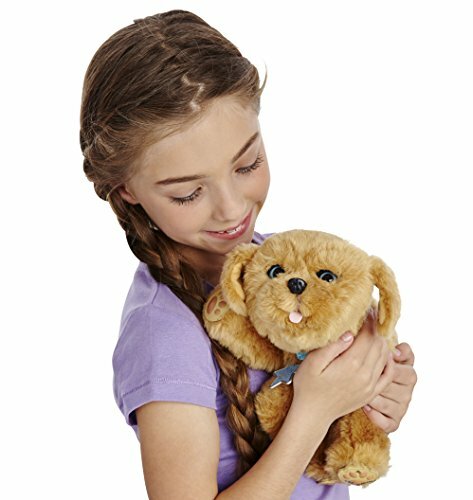 He’s the perfect companion pet for boys or girls aged 4 or older. 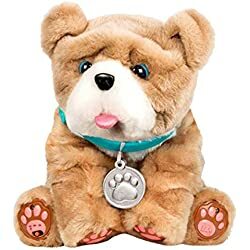 Along with the bottle, the puppy also comes with an adoption certificate that kids can use to put in their information as the new puppy owner. 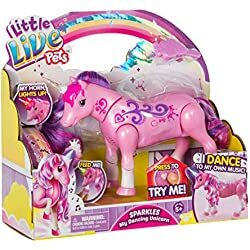 I hope you enjoyed my Little Live Pets Puppy Review and it helped you with your evaluation of the toy.